Way back in the heady days of May 2010, The Hobbit couldn’t even get off the ground due to MGM’s financial meltdown. Now the two-part film has expanded into a trilogy, and we assumed it was because Warner Bros. and director Peter Jackson had settled on a budget to make a third film viable. However, it turns out there is no budget nor is there a finished script which would dictate said budget. “If anybody had been a big hindrance, it wouldn’t have happened,” says a source with ties to the movies told THR. 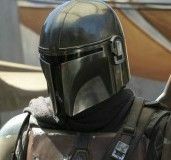 “It was such a short window of time to make this decision, if anybody had said no, it would have been two movies.” Apparently, Warner Bros. is making a big leap of faith that the budget won’t spin wildly out of control, and that the first two movies will be strong enough to lure audiences back for the third. 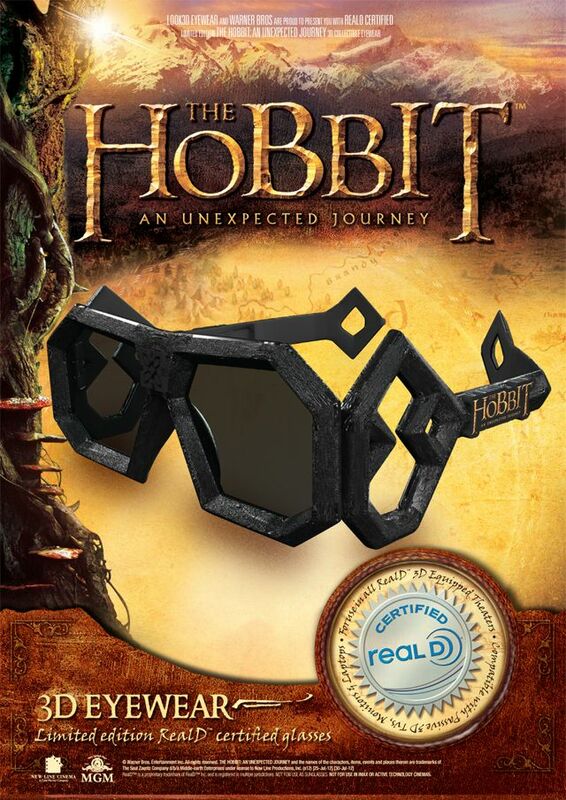 Hit the jump for more along with an image of the uncomfortable looking 3D glasses for the first part of the trilogy The Hobbit: An Unexpected Journey. The film is due out December 14th. According to THR, while the budget of the first two movies was “conservatively” placed at $500 million (no word if that includes the marketing, but I doubt it), The Hobbit 3 (not the official title, obviously) is expected to cost less since some of the material was shot back when Jackson, and co-writers/producers Fran Walsh and Phillipa Boyens thought The Hobbit was going to be two parts. However, while The Hobbit 3 will have a lower production price tag, Warner Bros. will have to pay when it comes time to market the trilogy’s conclusion. Additionally, Warner Bros. has no way of knowing for certain what the budget on The Hobbit 3 will be. The script is still in the works, and unlike writing the entire script before shooting begins, Jackson and Co. will have to work within the bounds of one nearly-finished feature and a halfway-finished feature. Something essential in the third movie can’t be based off a non-existent element in the first movie unless additional pickups (which have been extended from June when the pickups were meant “to complete some battle stuff”) are used to fill in the blanks. Except Jackson, Walsh, and Boyens won’t know what those blanks will be until they’ve completed the script for the third film. By that time, it’s unlikely that there will be time or the resources to make any changes to An Unexpected Journey. Part two, The Hobbit: There and Back Again is due out December 13, 2013. The Hobbit 3 is set to arrive in summer 2014. • Entertainment • Movie • Peter Jackson • The Hobbit • The Hobbit 3 • The Hobbit trilogy • Warner Bros.